Turning any surface into computer keyboard, this scene in sci-fic film has become reality. If you’re curious, let’s go on checking the following virtual laser keyboard by Celluon. Celluon virtual laser keyboard just measures about 37.5 x 39 x 93mm, and weights about 110g. Of course, this is only the projection keyboard module. Using built-in laser beam, the module can generate a full-sized QWERTY computer keyboard measuring 304 x 105mm with optional four layers for the support of English, Germany, French and Korean on almost any surface. And with the help of 3D Electronic Perception Technology, the virtual keyboard is perfectly operable. Apart from that, the laser keyboard comes with USB and Bluetooth interfaces in order to support various computers and mobile devices like PC, MAC, smartphone, tablet, and more. After the break, check out the following demo video. Celluon virtual laser computer keyboard is priced at $199.99 USD. At present, Celluon has started accepting the pre-orders of the laser keyboard. 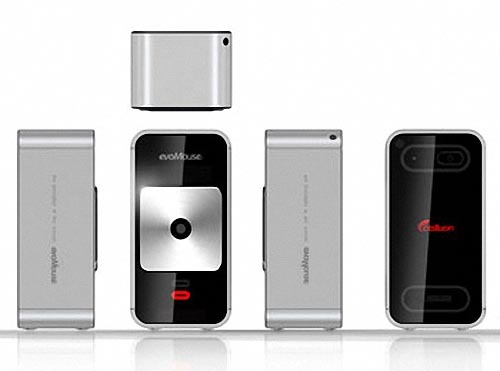 If you’re interested, jump to Celluon official site for more details.